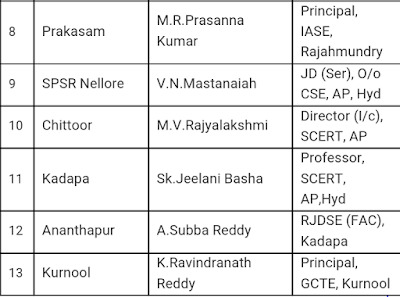 The following Officers are deputed as state level observers to the districts shown against their names to review / supervise the process of Teachers Transfer Counseling, 2015. The above officers are informed that the Government have issued G.O.Ms.No.63 Education, Dated: 31-08-2015, for regulation of transfer of teachers and Headmasters. Accordingly a schedule for online transfer web counseling is issued by the Commissioner of School Education. Accordingly, the teachers effected under Rationalization / Compulsory transfer and the teachers who are desirous of request transfers have applied through online. The exercising of web options by the teachers will come to an end by 13.10.2015. As per the G.O. the Head Masters / Teachers were awarded entitlement points for service, category of areas of the school, institutional performance related points, individual performance related points, special points, rationalization points etc. The following are the stages of web based transfer counseling. Verification of the entitlement points at the Head of the Institution level, inspecting officers (M.E.O / Dy. E.O.) 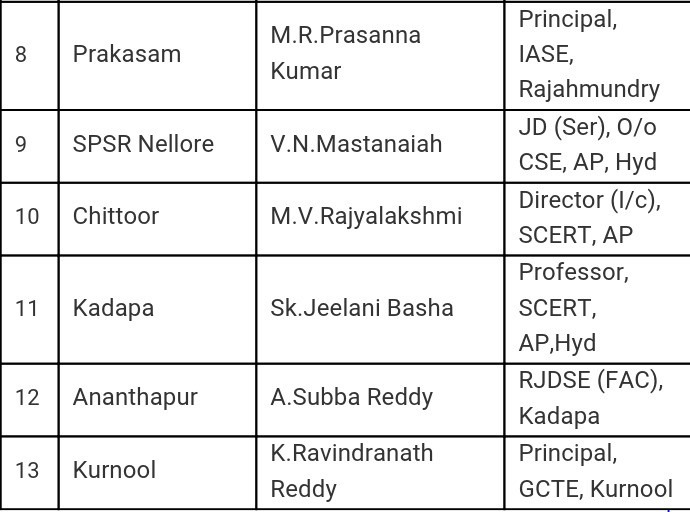 level and District Educational Officer level. Exercising of web options by the Teachers/Head Masters. It is brought to the notice of Commissioner of School Education that in many districts Teachers/Head Masters claimed performance points in their application in an in correct manner or even when they are not entitled for the same. It is also informed that, the verification of service particulars by the HM/MEO/Dy.E.O/DEO with entitlement/performance points is not done in accordance with the provisions of G.O. / Instructions and also not verified the genuineness of the claims of the teachers. There are also complaints that the seniority lists are not drawn up correctly, corrections are not made in time, objections/complaints are not addressed fully by the DEOs, etc. Therefore, the above Officers are instructed to visit the Districts concerned and thoroughly verify the process of teacher transfer counseling, covering all aspects including following of guidelines issued in the G.O and CSE proceedings from time to time, arriving at vacancies, claim of & verification of performance/entitlement points at different levels, objections received and addressed, etc. A report in the enclosed proforma may be submitted by the State Level Observers on or before 15/10/2015.